Reid Rodell Events will transform a traditional meeting, conference or tradeshow and completely turn it around, making it an interesting and immersive experience for partners, clients and consumers. 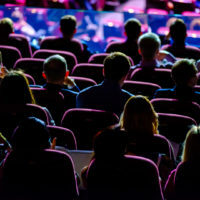 We ensure that attendees walk away with valuable information while learning and having fun at the same time, with unique activations, diverse breakout sessions, impactful tradeshow and even relevant lunch breaks. State/Federal agencies, corporations, and non-profits look closely at their program and want to find the best way to make an impact with their meeting/conference. Reid Rodell Events works with you to design a program unique to your needs be domestic or international. Having produced hundreds of meetings/conferences around the world, we are your skilled/experienced partner to deliver an impactful, scalable solution customized to your needs and culture. We recognize how important it is to have a very well-structured planning phase for our meetings/conferences, we know how to attract the crowds – for any free or ticketed, periodic, cultural, charitable or cause-related event. 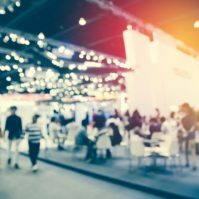 Tradeshows/Exhibits are a great way to build awareness and good public relations for your company, but they can also be challenging to organize. Reid Rodell works with clients looking to communicate and engage with their audiences and stand out from an increasingly competitive crowd. From managing your company’s stand presence at a show, to organizing an entire tradeshow/exhibition and creating revenue-generating sources, such as sponsorship and advertising, we will help your business make a big impact. We work with you to design, manage and produce stylish bespoke exhibition stands that bring energy and innovation to exhibitions by creating experiences that fully engage with audiences. We are committed to providing the best possible services to help you make better business decisions. Copyright 2018 Reid Rodell. Design by Creative Visionary Lab.